The Guardian revealed this year that NHBC is paying around £10m to £15m every year to housebuilders through what is effectively a profit-share agreement. Campaigners said these payments called into question NHBC’s independence from housebuilders. In response, NHBC said the payments were a “very small” proportion of its annual turnover and that it was common practice in the insurance industry to recognise good claims history. NHBC said the payments, which it describes as premium refunds, totalled £4.5m last year. NHBC, which claims to have an 80% share of the new-build market, sets quality standards for new homes and provides 10-year warranties to buyers. The warranty is a form of insurance that is supposed to compensate the consumer or fix faults in the new property if there are problems within the first 10 years. However, there has been growing criticism of the quality of new homes in Britain and the lack of protection for consumers. Bovis, one of the UK’s largest housebuilders, was forced to pay out £7m to compensate customers who bought poorly built new homes, while Clarion Housing Group, the country’s largest housing association, has agreed to buy back properties in a London development. A survey published by the House Builders Federation revealed that 98% of customers have reported snags or defects with their home since moving in a year ago, up from 93% last year. 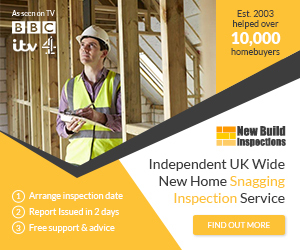 Philip Waller, a retired construction manager who runs the campaign website brand-newhomes.co.uk, said: “The NHBC ‘premium rebates’ to plc housebuilders and the minimum claim value [for new home buyers], which is currently £1,550, are two areas I believe that require examination and investigation. The undertakings made by NHBC were that it allowed housebuilders on its register to use other warranty providers and that it did not make changes to its rules that could hurt competition without approval from competition authorities. These are now being reviewed. The CMA declined to comment about the questions sent as part of the review. The NHBC said: “There have been significant changes in the new home structural warranty market over the last 20 years and NHBC’s view is that its undertakings are now obsolete. So, when approached by the CMA, we welcomed the opportunity to work with them and we asked for the undertakings to be reviewed and released. This reflects our commitment to maintaining an open and competitive market for new home structural warranties. • This article was amended on 12 April 2017. The word “investigation” was changed to “review” in the first sentence of the fourth paragraph and an additional sentence was added to the end of the fifth paragraph. Your web is so helpful. Sadly we are victims but this housebuilder who is as awful as the main runner. How do i join your forums.